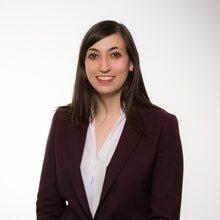 Clàudia Baró Huelmo joined LALIVE in 2017 and specialises in public international law, international arbitration (investment and commercial) and international criminal law. Clàudia Baró Huelmo has acted as counsel for States and corporate entities in a number of international arbitration proceedings, mainly conducted under the auspices of the ICSID Convention and Arbitration Rules, and the UNCITRAL Arbitration Rules, with experience in disputes in the financial services, banking, and energy sectors. She has also advised European, Caribbean and American States in public international law matters such as State succession, territorial and maritime boundaries, new approaches to trade treaties with the United Kingdom post-Brexit, business and human rights, and relations with international organisations. Clàudia is currently serving as the Secretary of the Swiss Chapter of the Club Español de Arbitraje. She is also a member of several other professional associations, including the American Society of International Law (ASIL), the Swiss Arbitration Association (ASA and ASA Below 40), Arbitral Women, the Young International Council for Commercial Arbitration (Young ICCA), and the Young International Arbitration Group (YIAG). Before joining the firm, Clàudia worked for a public international law boutique law firm in London (2016 – 2017). Prior to that, she taught public international law courses at the Autonomous University of Barcelona and worked in a Spanish law firm specialising in banking litigation (2015 – 2016). Clàudia holds an LLM (2015, with distinction) in Public International Law from the London School of Economics and Political Science (LSE). During her time at the LSE, she was also the team captain of the winning team of the United Kingdom Philip C. Jessup International Moot Court Competition. She graduated with a Spanish law degree from the Autonomous University of Barcelona in 2014 where she has awarded the Premio Extraordinario de Licenciatura. She also holds a certificate in Public International Law from The Hague Academy of International Law (2014) and was an exchange student at the University of California, Berkeley (2012 – 2013). There and back again: ¿de vuelta a la litigación para disputas transfronterizas? Barcelona 01/03/2019 Clàudia Baró Huelmo Speaker: The paranoia of the protection of due process rights: a common cause of annulment? London, United Kingdom 23/02/2018 Clàudia Baró Huelmo Judge for the preliminary and advanced rounds Issues of validity of inter-State arbitral awards, innocent passage in the territorial seas, obligations of nuclear disarmament, and lawful use of force. Barcelona, Spain 21/02/2018 Clàudia Baró Huelmo Judge for the preliminary and advanced rounds Issues of validity of inter-State arbitral awards, innocent passage in the territorial seas, obligations of nuclear disarmament, and lawful use of force. London, United Kingdom 24/02/2017 Clàudia Baró Huelmo Judge for the preliminary and advanced rounds Issues of transboundary aquifers, obligations to world heritage sites in danger, repatriation of cultural property, and cost of refugee crises.